We are just animals at the zoo! 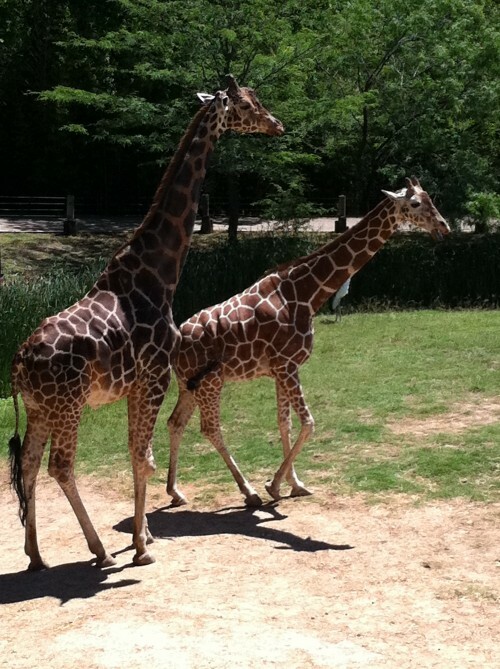 Ah the zoo. 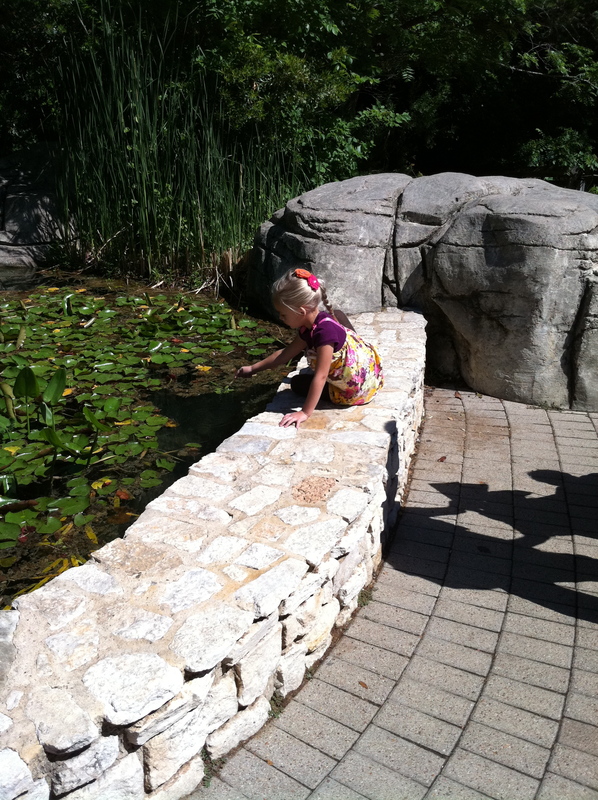 I just love taking the kids to see all the animals and letting them run wild and free, and sometimes pretending that they are with someone else, just kidding. 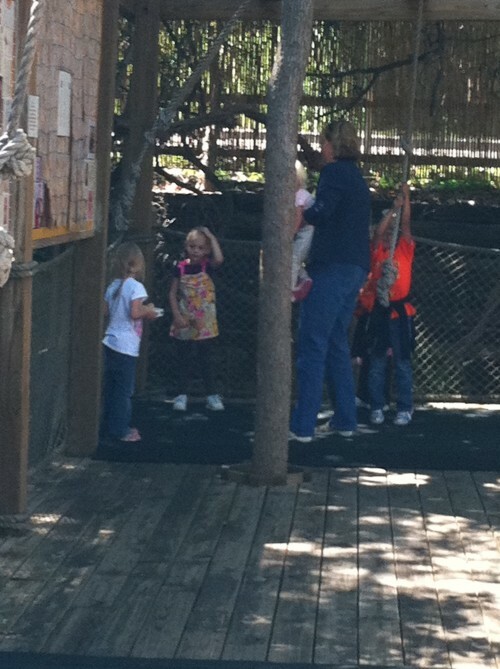 Earlier this week we took a little trip up to the Waco zoo with Christa, Lexi, Brooklynn, and Katie Hall ( Christa’s mother in law who is out here for a visit). It was the perfect day to be outside and I am pretty sure that I was not the only one that had a really fun time. Harrison was all about climbing on things to see better, and we saw some funny things from some of the animals too. 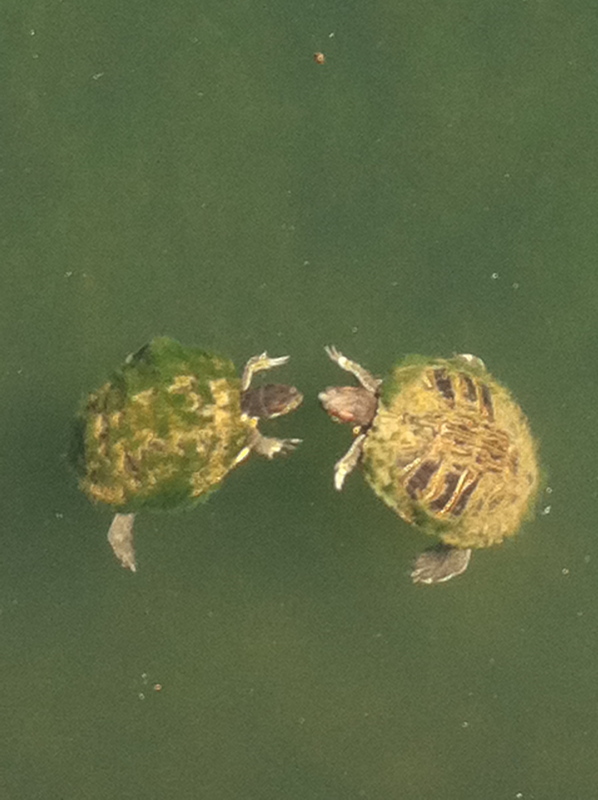 These turtles gave each other a little kiss and then swam their separate ways. 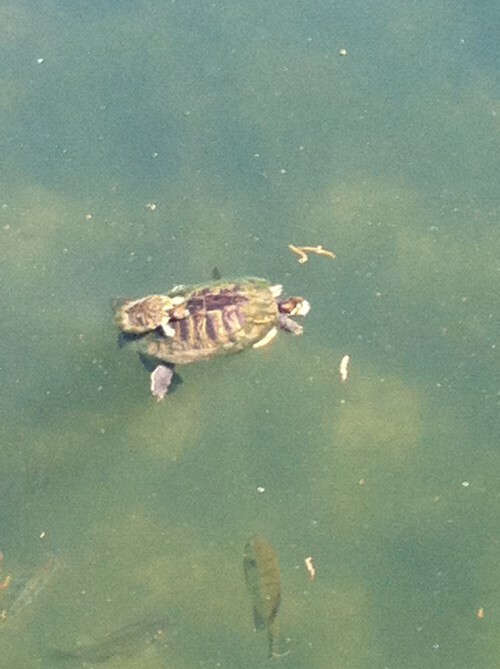 And this little turtle hopped on for a little ride. No need to do all the hard work swimming all day when you can catch a lift from someone bigger. 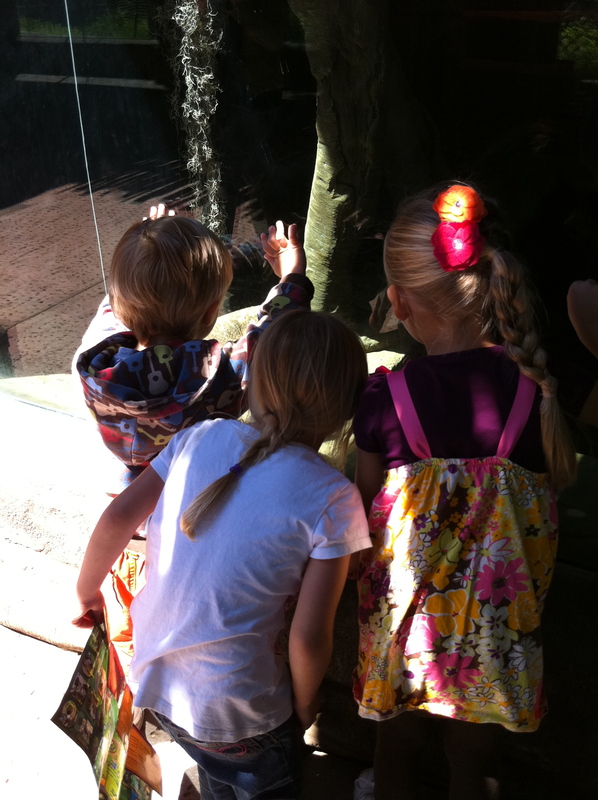 Here the kids are knocking on the glass of the Komodo Dragon, it is clearly marked on the window not to knock or tap the glass, but we only noticed that after the kids had done it. 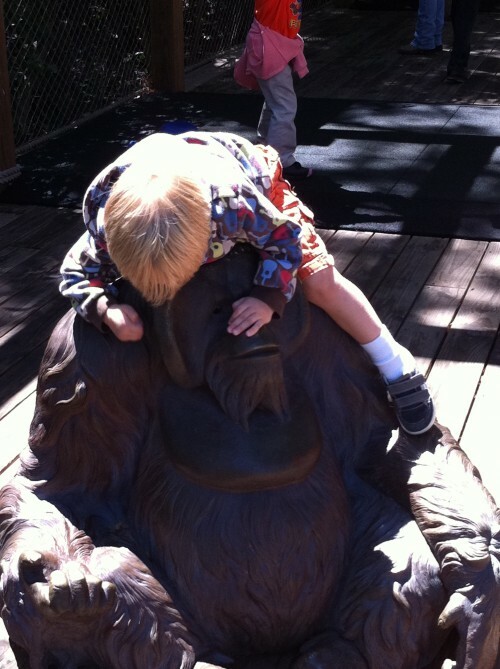 Here is Harrison trying to get a piggy back ride from the statue…yeah that didn’t last long. And Katie is showing the kids how to swing the ropes into the gongs. 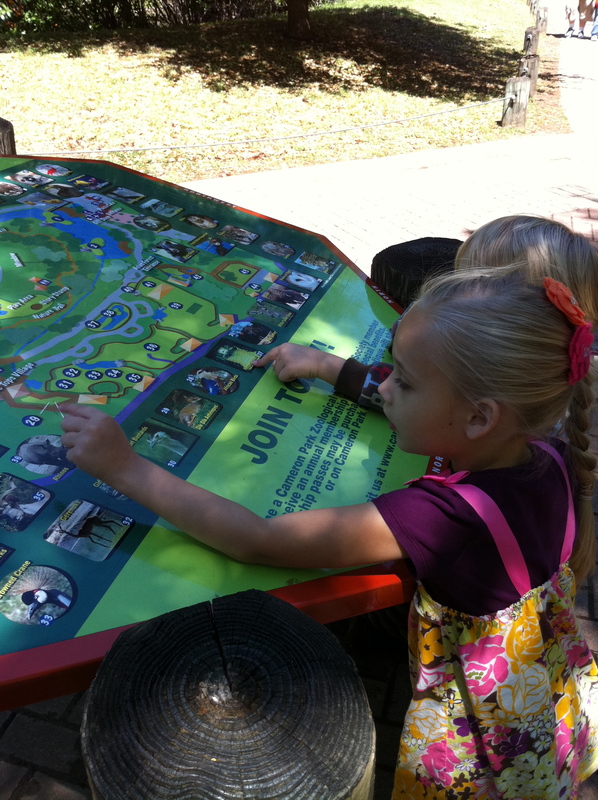 The kids are looking at the map to see where we are and what is coming up next. As you can see they are a little mixed up, I am glad that they were not giving directions. 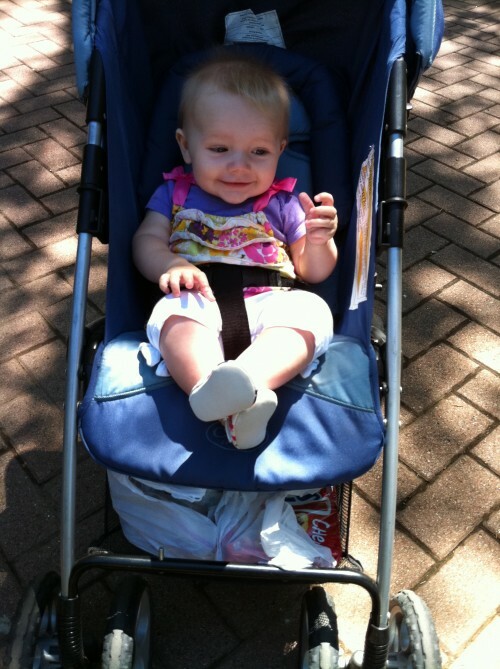 Miss Stella hanging out in the stroller, she did really great all day long, I am sure it is because we were outside and moving all over the place. Whatever it was she was happy to be along for the ride. Harrison was so excited that he was tall enough to push the button that made a lion roaring sound. They are just growing up too fast. And Gwen was trying to tell me about the roofing over the lion area. The Giraffes are usually so far away so it was nice to have a chance to see them so close to us. 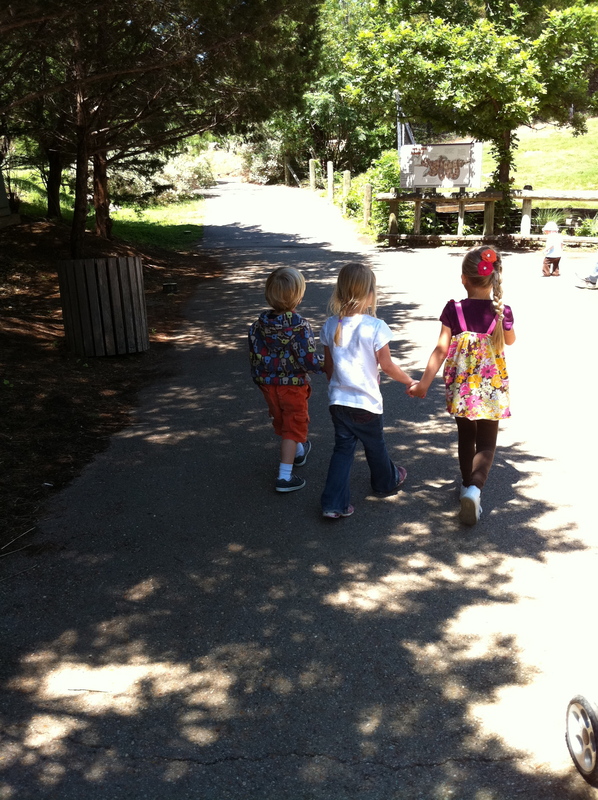 And here is a rare and precious moment, ALL the kids playing nice and holding hands. It makes me want to cry. Usually my kids are yelling about needing space or something so they won’t hold hands so this was a real treat for me. 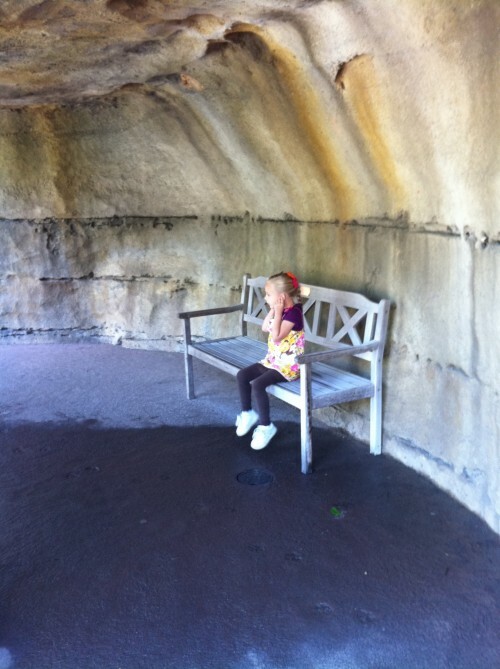 We passed under a little waterfall and Gwen thought it was too loud, so she had a seat (right under it) and just plugged her ears. The favorite slide by the Otters. It was a packed place the day we went. There were lots of visiting schools so play time at the slide was limited due to kids that were bigger….lots bigger. 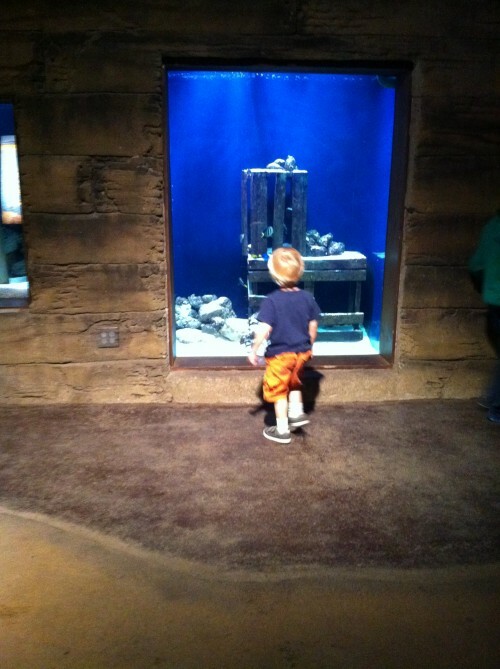 Harry looking for the Dori fish in the aquarium. Playing on the playground, giving the adults a chance to sit down and have a nice chat with each other. 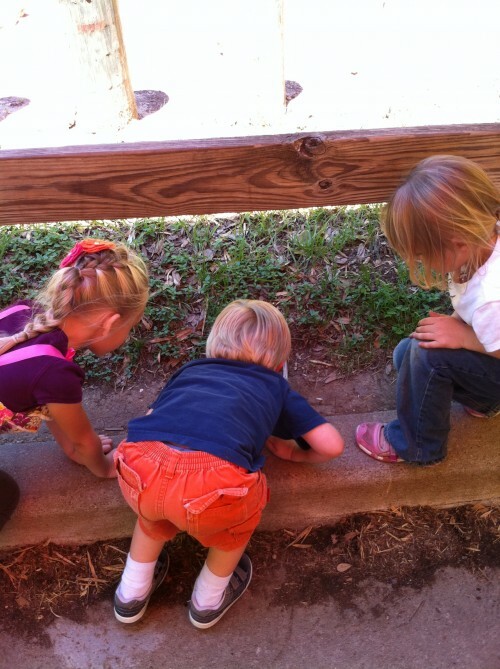 And last but by all means not least, checking out a giant ant. Something that is kind of a big deal around our house. Ants. You don’t want them on you and you don’t want to bother them, but every time the kids see one they want to get their little faces as close as they can to “see” it. Crazy kids. Oh what a fun filled day with friends and lots of animals. 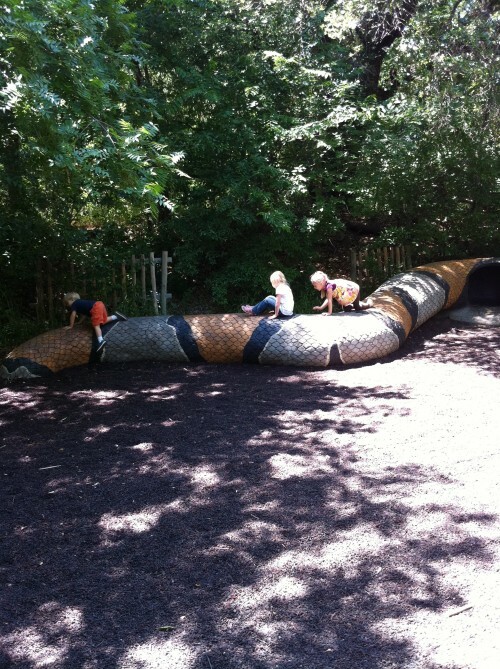 I sure do love the zoo, and I really love seeing the kids get so excited about all the different kinds of animals and insects and even the snakes in the snake house. I think we will need to go back sometime soon just so I can hear the kids try to act out all the different kinds of things we see. Gotta love kids. that sounds like so much fun! The last time we went my kids spent the whole time telling me they wanted to go home. I’m glad your kids enjoyed themselves and enjoyed each other, makes all the rest worth it doesn’t it. 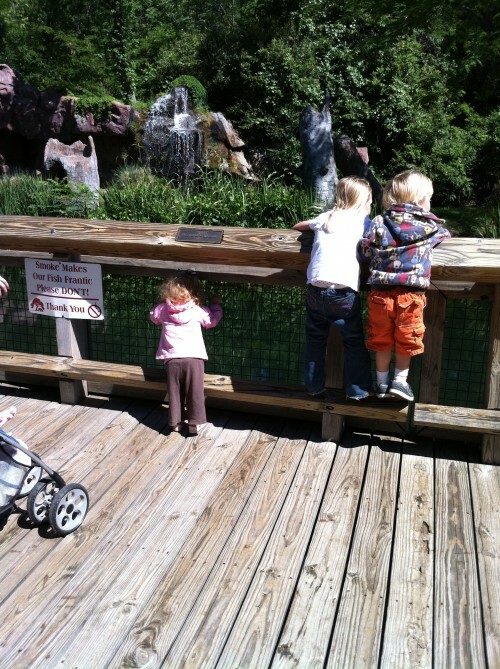 I remember the Waco zoo…such a fun place. 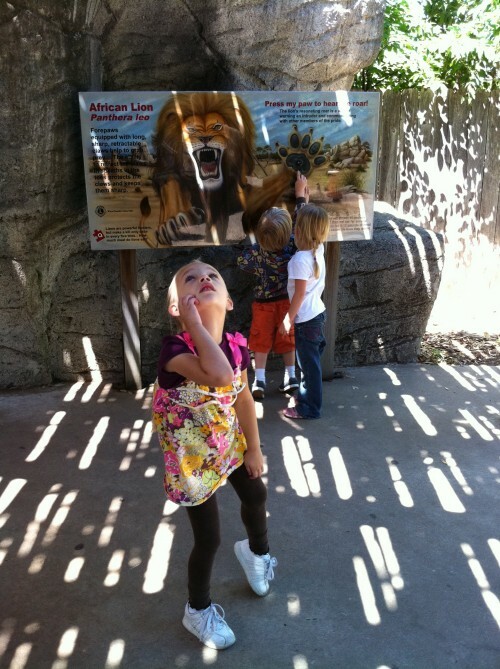 I am glad you are able to go more than once in a while……your children may become zoologists! FYI We are in a flood watch here in Northern Utah and the rain is supposed to come down quite heavy for the next few days, so we joined our neighbors this morning for a little sandbagging adventure. Have great week. Stella looks gorgeous and very content. 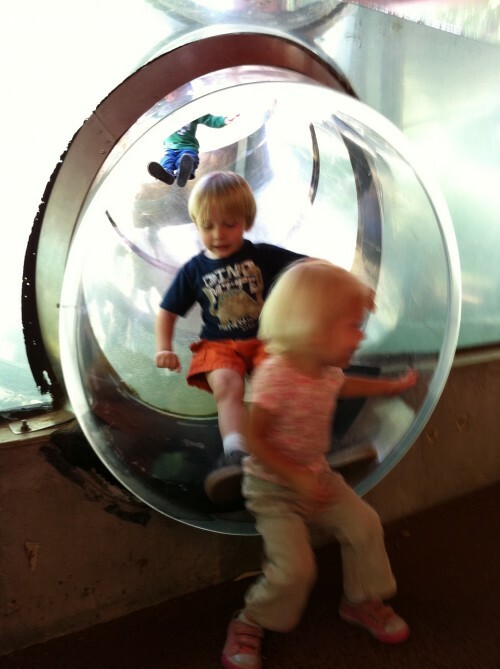 I always enjoy a trip to the zoo, I just wish the Hogle Zoo was a little more exciting. I love the flowers Gwen has in her hair. You should take a close up of them and email it to me. You know how I love to make hair bows. Stella is getting so big! And her hair is really starting to grow. I bet she’ll have beautiful hair like Gwen’s. Do you have your Holiday plans sorted out already?